Desmond and sons have been established for over 30 years. We specialise in stretched fabric wall covering. Over the years we have worked for many world renowned recording studios and artists and many prestigious clients in the home cinema industry. We have carried out a large variety of projects, from 1 Wall to multiplex cinema complexes. Although our system is very good for acoustic purposes, it also provides a very aesthetically pleasing finish so can be used solely for this purpose in residential or commercial properties. At Desmond & sons we pride ourselves on our professional work ethic, customer service and client satisfaction. 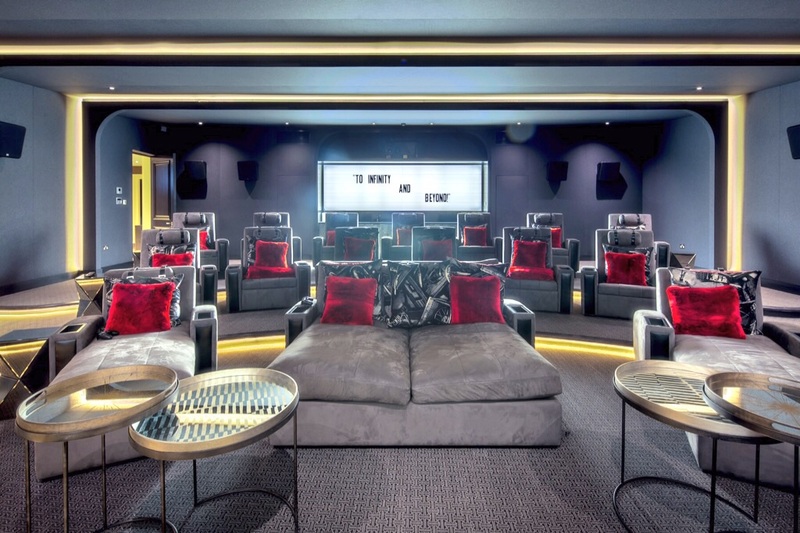 Home cinemas are very rapidly becoming the must have addition to any home. With the continual progression of technology and equipment it is even more important than ever to acoustically treat the walls. By doing so you can create the perfect listening environment and get the most out of your systems. Our personally designed 10mm tracking system can be fitted to any depth by fixing battens to the wall behind the track. This is especially useful in regards to the acoustics of the room as the battens can then be in filled with the correct acoustic treatment in the desired locations and the fabric will be stretched over this. Also many clients wish to have their wall/ceiling speakers hidden behind the fabric. This can be easily achieved by bringing the wall out to the correct depth. We can also make access panels if the client would like their speakers accessible or they can be surface mounted. As our tracking system is very versatile it allows us to follow any idea or design the client may have. We can fit fabric in different shapes, sizes, with curved lines, straight lines etc. The possibilities are endless. 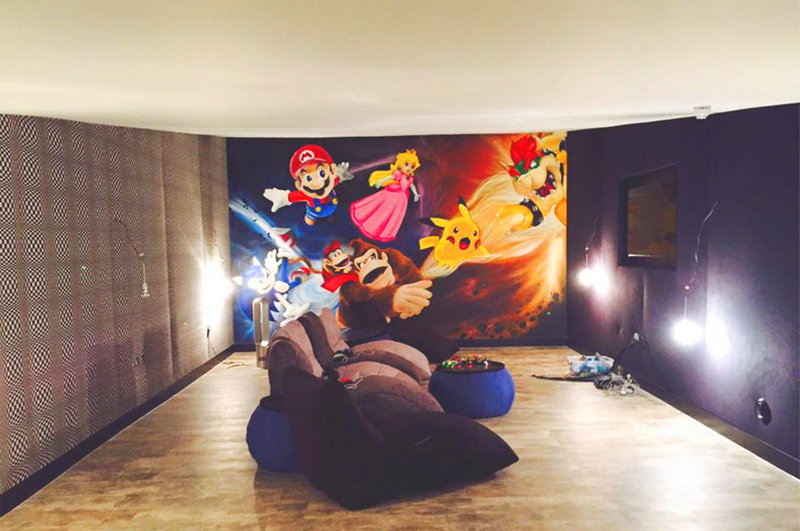 Another service that we offer is the ability to print any image onto fabric, which can then be fitted to the walls or ceilings. This is a very popular choice in many home cinemas. Clients can choose from a wide selection of colours and textures. Desmond and sons have established themselves as the market leader for stretched fabric in the recording studio and post production industry. Our system has been used in many of the top Film and music studios throughout the world, including the world famous Abbey Road Studio, Air Studios, Pinewood and Shepperton Film Studios and Paul Epworth’s The Church studios to mention just a few. 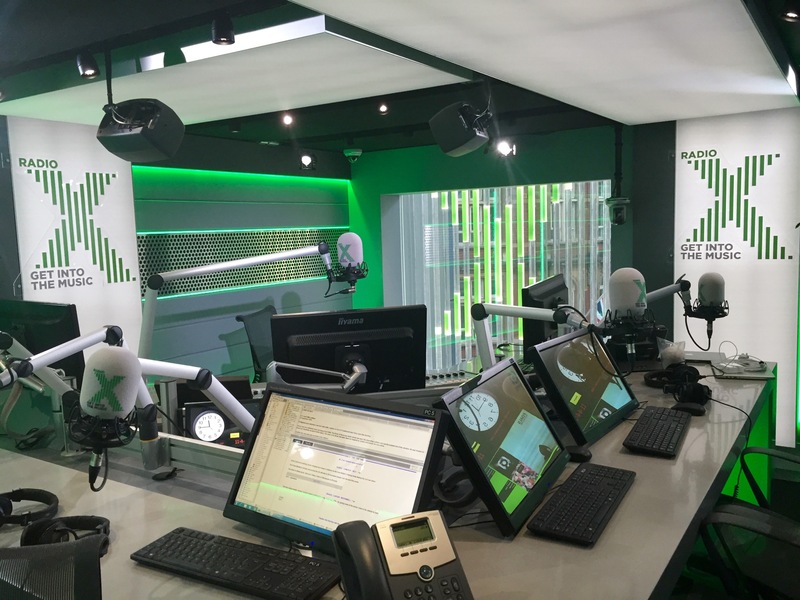 Our system is perfect for the studio business as it is very flexible and can accommodate the various shapes required within the Studio design. Desmond & sons work alongside the top Studios Designers White Mark Ltd, Munro Acoustics & Acoustic design Group. Stretched fabric wall covering is a necessity when it comes to building the best recording studios or rooms for post-production. The acoustics of the room have to be precise to create a perfect listening environment. This is achieved by placing specified acoustic treatment in the correct locations, which is then set behind the neat fabric finish. Creating depth behind the finished fabric allows space for cables to be run and even speakers to be set back and hidden if required. Fitting acoustically transparent fabric allows for sound to travel through the finished walls and ceilings and be absorbed or reflected by the treatment behind. The benefits of fabric wall covering within a home environment are that it gives you a perfect flat finish to uneven walls, insulates and acoustically enhances the living spaces and gives you a very aesthetically pleasing and luxurious look. Fabric around the home could be used to give your dining or living area a luxurious look, a feature wall in your bedroom or the wall your tv is mounted on. With the option of printing your own image onto fabric it gives you even more freedom of choice.